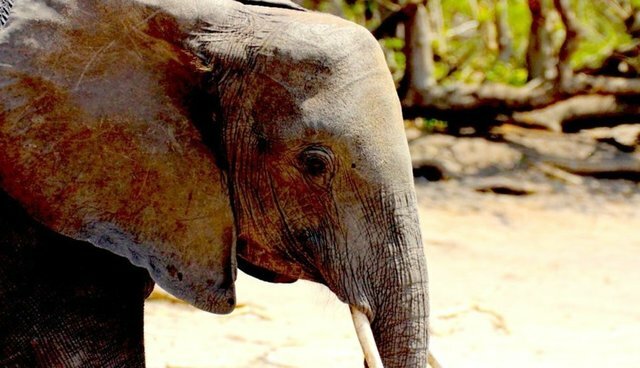 This week's release of peer-reviewed research showing that the poaching of African elephants has driven the species to a tipping point should serve as a clear indication to conservationists, law enforcement and military agencies that current strategies to secure elephant populations are not effective and that an improved course of action is necessary. The findings, published in Proceedings of the National Academy of Sciences, show a significant increase in the illegal killing of elephants beginning in 2008 and continuing to the present day, with a probable annual decline in elephant numbers of three percent per year. Over a three year period, approximately 100,000 elephants died at the hands of poachers, with approximately 40,000 elephants being killed in 2011 alone. The conservation implications of this trend are obvious, and the related regional security issues concerning the role of illicit ivory in financing terrorism have been well documented and analyzed. The United Nations Environment Program (UNEP), Convention on International Trade in Endangered Species (CITES), International Union for Conservation of Nature (IUCN) and the wildlife monitoring network TRAFFIC, have jointly issued some general recommendations for arresting the elephant poaching crisis. Similarly, the United States has adopted a visionary National Strategy for Combating Wildlife Trafficking. However, specific points of policy have been generally lacking in suggestions about how best to address the poaching crisis and related security threats. For elephant conservation efforts to move forward we must begin identifying specific policies and actions that will help bring an end to the killing. On the supply side, elephant range nations should look to follow through on the call by African Union Commission Chairperson Nkosazana Dlamini Zuma for a more integrated approach to the poaching crisis. Doing so will require that cooperation between nations enable and support anti-poaching activities in a more concrete way. This can begin within bodies like the Southern African Development Council by legally formalizing "hot pursuit" agreements, increasing the ease with which anti-poaching units can track suspected poachers across international boundaries in the immediate wake of a poaching incident or related contact. At present, the arrangements between some nations only amount to gentlemen's agreements. This has resulted in unclear protocols and the increased possibility of anti-poaching units being misidentified as terrorists or insurgents, amplifying the risks they already face. To make these agreements more effective, consideration should be given to using them as joint-venture vehicles for government sponsored anti-poaching units. Additional thought should be given to their covering not only national law enforcement agencies but also private anti-poaching units formally registered with and recognized by the nation's party to the agreement. Doing so would help to increase oversight of private wildlife, park and ranch security services and increase their ability to serve as an additive resource to African governments. As an additional compliment to formal hot pursuit agreements, extradition treaties between the African Union, the United States, United Kingdom, European Union and China should be strengthened to include crimes or offenses, or attempted crimes and offenses, in connection with the illicit trade in elephant ivory and rhinoceros horn. This is especially necessary given the role of these trades in the financing of terrorism. The threat of extradition increases the risk involved in poaching and wildlife trafficking, especially for business people with exposure to the middle and upper ends of trafficking networks who often provide a façade of legitimacy to the illegal activity. Increased risk may either force individuals to abandon their participation in the trade, disrupting the cohesion of networks and increasing their overall vulnerability to collapse, or drive them to change their operations in ways that result in decreased profitability and overall appeal. Outside of Africa, ongoing campaigns appealing to the morality of potential ivory consumers in China are a valuable contribution to anti-ivory trafficking efforts. However, they should not be the only tactic relied upon. With ivory trafficking being driven by potential economic gain, participation in trafficking networks must result in negative economic consequences if the tide is to be turned. Just as has occurred with Russian companies and individuals thought to be facilitating the conflict in Ukraine, the U.S. and E.U. should seek to level sanctions against companies and individuals for which there is compelling evidence of participation in the illicit ivory trade. As with the Russians, these persons and entities, through their economic activities, are contributing to regional conflict and instability that is costing the lives of both people and elephants. Restrictions on trade, travel and other business activities both deliver substantive consequences for participation in trafficking networks and makes it more difficult for those networks to operate under the cover of legitimate business. Finally, it should not be expected that a crisis of this scope, scale and complexity can be handled exclusively by impacted governments. Effectively arresting and reversing current trends will require deep, meaningful and consistent engagement of the private sector and the unique capabilities it can bring to bear. Doing so will not only result in positive outcomes for elephant conservation and regional security but can also foster the kind of economic cooperation that was a focus of the recent U.S.-Africa Leaders Summit. To achieve this, key institutional donors, businesses, think tanks, conservation practitioners, development and anti-poverty organizations, the defense sector and others should unify around a common strategy that supports and enhances those already developed by various governments and inter-governmental bodies. Such a strategy would apply organizational strengths to achieve goals agreed upon by the participants and partner governments and set the stage for long-term relationships that increase security and prosperity for Africa's wildlife and her people. These and other action-oriented approaches can end the elephant poaching crisis in Africa. Indeed, if there was any good news in the research findings announced this week it is that the crisis has not progressed to the point where it is too late to save the elephant from extinction. Doing so is within our power. History will judge us by our actions, not our plans, and the time to act is now.